So, you’re thinking about getting into paid search? PPC, Google Ads, AdWords, search ads, intent-based marketing, whatever you want to call it. 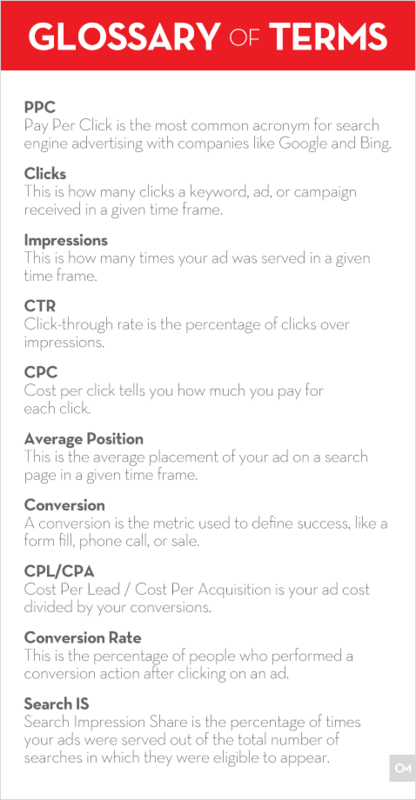 There are a lot of names for it; and then there are all the other acronyms that come along with a paid search investment: CTR, CPL, CPC, Search IS. It can be intimidating, and you’re about to give an agency and the Google gods thousands of your hard earned dollars to try this thing out. What should you expect? What do you need to know before diving in? See? No ads for brown pants. The goal of paid search is to show up on top of the organic results when people are actively looking for your product or service. Your ads will perform best when catered to directly solving the searcher’s problem and presents the product/service that they need. 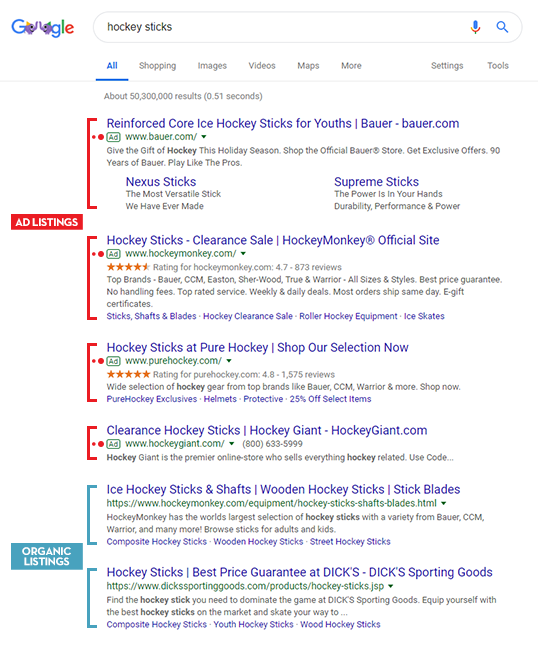 And indeed, this ultimate relevance isn’t just what we want as marketers, it’s what Google wants to see as well – in fact, they favor such ads in auctions. Paid search is not typically for prospecting or creating need; that’s what all your work in social media, SEO, and display advertising is good at doing. Paid search is taking those people who know they have a need and having them fulfill that need with your brand. You’ll often hear that if you want leads fast, PPC is the way to do it. And it’s true. SEO efforts can take time to make an impact or see results, and many other ad platforms require time to guide leads down the conversion funnel or generate new customers right away. PPC campaigns built with the right intent-based keywords can definitely bring in new leads and traffic more quickly. But there is still a growth process even with PPC. Done well, paid search requires a lot of nurturing to be maximally effective. Automated bidding and the associated algorithms are brilliant (and any agency worth their salt is using them), but to get the best bang for ad buck, they need data to work off of. Even the machines have to learn and adjust. The specialists at your agency also need data. You can’t work off gut feelings in this industry; the numbers won’t lie. And once you have data, you can make all of the account optimizations you need to improve the efficiency of your ad dollars. It can take 4-6 months to get an account humming the way everyone wants. Marketers are human. They do make mistakes. But more often than not, if a PPC strategy fails, it’s due to a lack of communication between the agency and the client. A good agency will hammer you with questions about your business, how it works, why it works the way it does; they do this so they can make smarter marketing decisions for you. Even if your marketing agency knows your industry well, each business comes with its unique values, challenges, and profit margins. A great agency might seem like a group of magicians, but they’re not mind readers. One word answers don’t cut it; be open and transparent. 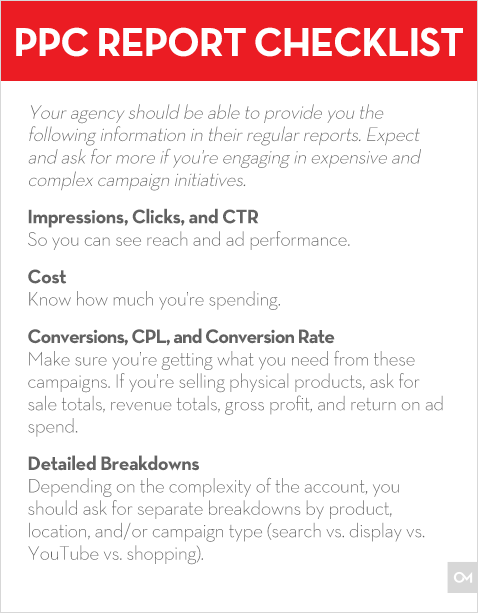 Provide accurate data and information, and the relationship and effectiveness of your PPC will benefit. The same goes the other way. Require transparency of your agency. Don’t let them get away with giving you limited information. If you don’t know your click-thru-rate or your cost per lead, that’s a red flag to watch for and ask your agency about. You should be getting a consistent report, we do ours monthly, on the performance of your PPC ads. If your current agency isn’t bringing suggestions to the table or pushing you, you might be better off working with someone else. It’s called paid search for reason; you are paying to reach people on the search network. It costs you real, tangible money. The size of the budget and how it’s put to use will have an effect on your PPC efforts. In many cases throwing more money at PPC will result in a correlating increase in leads or sales, though not always dollar-for-dollar. But it is possible to max out search reach depending on your product, the existing demand, and your targeting limitations. There is a point of diminishing returns, too. As you maximize your reach, you’ll likely end up paying more for each customer. Sometimes this is OK, sometimes this is not. In 2019, it should all be about profitability. Instead of hamstringing your PPC campaign with a limited budget, with limited flexibility and a set cost per acquisition, work backwards. Given your business’s constraints, figure out how many leads or customers it will take to break even, and then work toward what that means you can afford to spend to get those customers. You might find that if you just spent a little more, you could hit the black a lot sooner than you imagined. Here’s where transparency with your agency comes in again; provide them these insights, and they’ll help you find the magic numbers. There is no marketing silver bullet, no one thing that will turn your business around completely. To really take your business from 0 to 100, you need to be doing it all: SEO, content, social, PPC, and CRO. 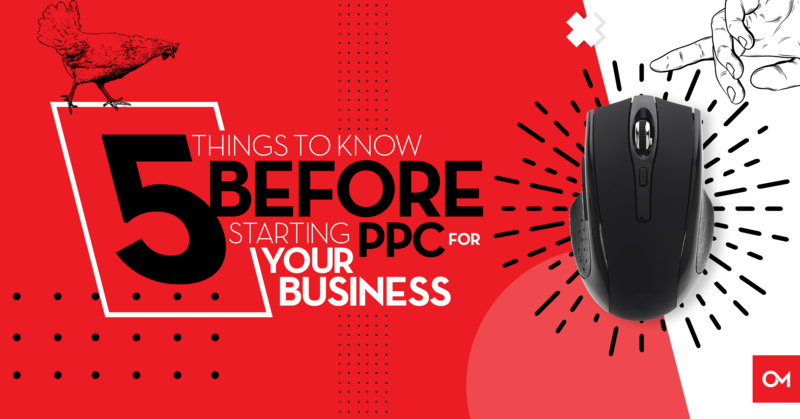 PPC is where you should start when you need quick results. However, good PPC is made great when it’s supported by higher funnel advertising, solid brand marketing, and good SEO. We’ve seen direct negative effects on PPC efforts when clients stop investing in social and SEO. It’s all important. Remember all those times we’ve talked about how a good agency should behave? That’s what we strive for at Oozle. We believe in a holistic marketing approach, we hold ourselves accountable to all of the data we provide, and we push our clients to think about the customers’ post-conversion experience and to strive for profitability above all else. Our success is dependent on our clients’ success, and we never forget that. To find out what Oozle’s Google Premier Partner PPC Team can do for you, request a free audit today.